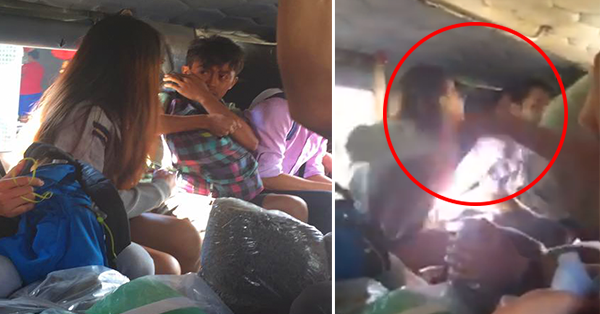 CAUGHT IN THE ACT: Young 'Manyak' Boy Gets Slapped By His Female Victim Inside a Jeepney! After the video of a girl in the bus suffered a sexual harassment from a passenger like her, there's another video of girl that's been circulating in social media, unlike the recent video this new video is happening in the public vehicle 'Jeep' and it's really different. 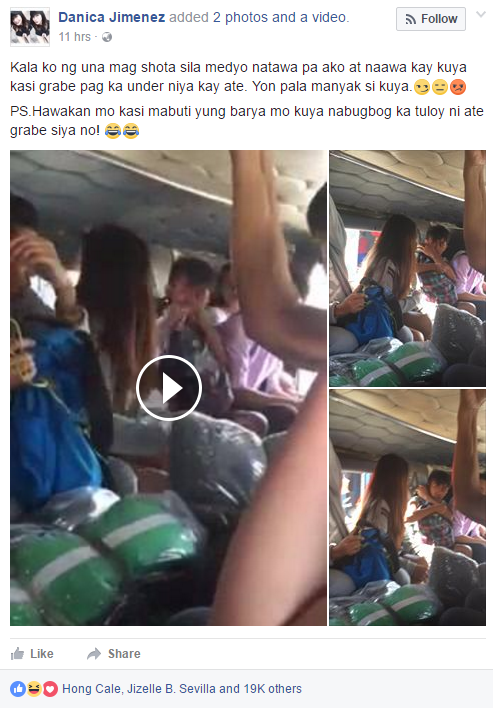 Danica Jimenez named of the girl who posted a video on social media, during the busy passengers in a Jeep, at first Jimenez thought that the boy and the girl in the video below is having a relationship, because of being clingy of a boy. But she turns out that the boy beside the girl is a maniac. We've seen in the video how the girl wearing a uniform with a skirt beat a boy, she is really mad because the boy beside's her left is keep touching her legs inside her skirt. The boy defending himself that his coins just fell, that's why he try to get it. The girl did not believe and continue to beat him since the boy is really keeping trying to touch her legs. The video has been circulating in social media and lot of netizens had been sharing their comments for the girl and also for the boy. You may watch the video below!